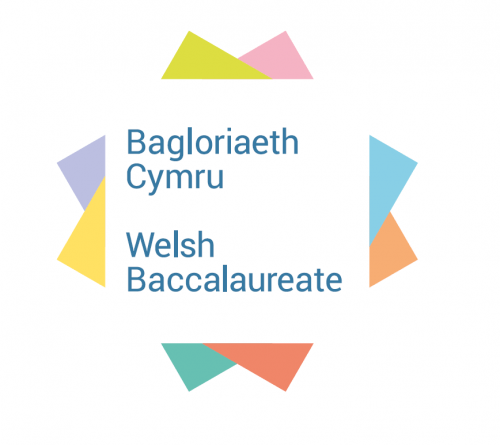 The Welsh Baccalaureate is based on a Skills Challenge Certificate alongside Supporting Qualifications. The combined outcomes of the four components will determine whether the Skills Challenge Certificate is awarded at National (A*- C) or Foundation (Pass-Pass*) level. The revised Welsh Baccalaureate will have a clear focus on the following skills. The Supporting Qualifications include two mandatory GCSEs of English Language or Welsh Language together with Mathematics-Numeracy. A further three GCSEs are also required, of which two may be of equivalent qualifications. To meet the National Welsh Baccalaureate requirements all five of the Supporting Qualifications must be achieved at grades A*-C. Similarly, for the Foundation Welsh Baccalaureate the Supporting Qualifications must be achieved at grades A*-G.
A feature of the qualification is the entitlement for the experiences and progress of learners to be enhanced and underpinned by regular tutorial support and mentoring. Each learner is allocated a Personal Tutor/Mentor and has an entitlement to regular one to one interviews and individual help, support and guidance. Individual support and guidance is seen as a key element in the success of learners following the Welsh Baccalaureate. Every learner who follows the Welsh Baccalaureate must be allocated a Personal Tutor/Mentor. This entitlement must be built into the delivery model of the centre. How this is organised within a centre depends on internal arrangements and requirements.